Someone's Pleasant Living Room, Al Murjan JBR? Ooops...nearly got caught in a scam. Susie responded to a property ad and got an email with pictures of a lovely flat in JBR. Rent was reasonable and the "owner" had a good reason for renting tho' some of the email was a little odd. Ever heard Wales described as being "near Ireland"? And since when has the Thanet Offshore Wind Farm (he claims to be the Construction Manager) been near Wales either! Who is this man - well he has the longest Arabic sounding name ever: Othman Abdulrahman M. S. Sultan Alolama. Still he said he had put the apartment in the hands of a reliable international agent and had paid all the fees. Thank you for your reply. In order for you to move into the apartment, property-instant.com will send you a package containing the keys of the apartment and the tenancy contract. For this to happen, please provide me with your complete name and the address where you wish to receive the package. I will forward these details to property-instant.com and they will make contact. You will receive instructions to deposit an amount of AED5400 into their account. 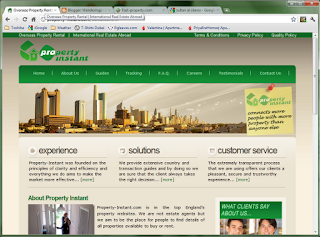 Property-instant.com will send you the package in 24 hours after confirmation of your payment. Starting from the day you receive the package you will have 7 days to inspect the apartment and see how you accommodate. You will be ensured because the money will remain in property-instant.com custody, until you inspect the apartment and declare yourself pleased. After you decide to move in, property-instant.com will grant me access to the deposit you have made with them, and this way your deposit will become the payment for the first month of rent. 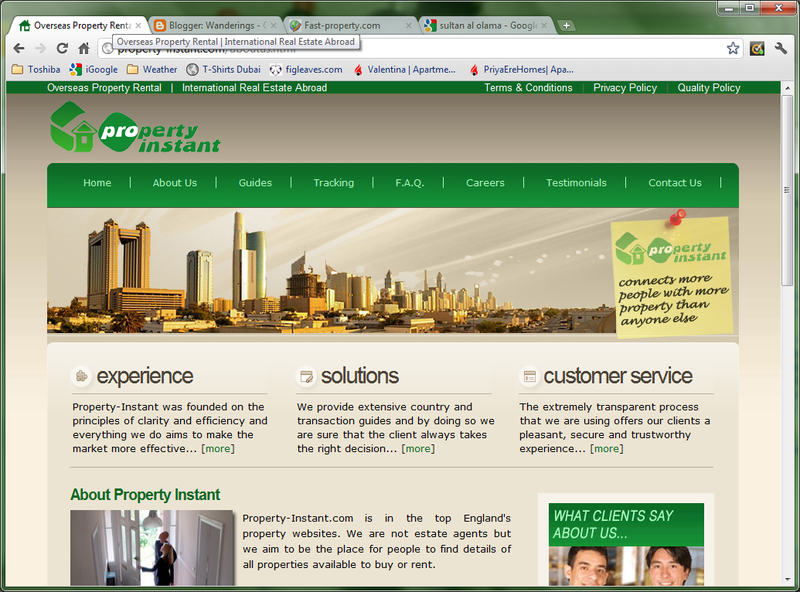 I will also be ensured because property-instant.com will keep the money in their account until you move in. If, for whatever reason, you decide not to rent the apartment, you simply send back the keys and tenancy contract to property-instant.com and ask for a refund, but I know that this won't happen because you will love it. So, if this is okay with you and you are determined to rent my apartment, then please send me your complete name and address, so I can forward your details to property-instant.com and they will start the formalities immediately. I wish you all the best and I'll be waiting for your answer. "The information in this communication is confidential and may be legally privileged. It is intended solely for the use of the individual or entity to whom it is addressed and others authorized to receive it. If you are not the intended recipient you are hereby notified that any disclosure, copying, distribution or taking action in reliance of the contents of this information is strictly prohibited and may be unlawful." Off to look at Property-Instant.Com, not to be confused with an entirely different property company with a similar name in Puna that Google thought was what we wanted to look at. Alarm bells were definitely ringing when Susie found that Google search didn't produce it... a very new website then! More alarm bells on looking at the site - only email contacts, some very squeaky clean pictures of the management team and no property search facility despite some fairly authentic looking "recently listed" apartments & villas for rent being shown for each for the countries they apparently do business in. A bit more digging turned up an almost identical screen shot in a forum warning of scams here, only thing is it's a different company "Fast-Property.Com". A polite email was sent back to Mr Othman Abdulrahman M. S. Sultan Alolama explaining that we wanted to view both the property and a draft tenancy agreement before handing over any money. And since when did anyone use their company signature with their hotmail account? Oh and the real Mohammed Sharif Sultan Al Olama died in 1958, he lived in a recently restored house in the Bastakia area of Dubai! After following up an advert on Dubizzle, I also received an email from this same chap who claims to have his property managed by Property-Way.com... a 2-bed plus maid on the Palm jumeirah for 7,500 per month (less than I pay for my 1-bed!). Thanks to sites like these we can check out these opportunities that most definitely are 'too good to be true'. Thank you. I've got the same think today...2 bed in al fattan tower for 5250/month.. he got me for 1 hour :-(, the email address he used was from Dubai governemnt human ressources department..So it took me quite longer to realize the scam.